Sneakersnstuff, the Swedish retailer has once again teamed up with adidas to offer a unique take on the NMD. 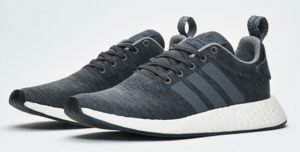 The Melange Pack consists of two adidas NMD_R2 with a grey mesh upper and nubuck leather heel cup and tongue tag. The “Grey Melange” colorway is quite literal with mélange meaning “mixture” in French. 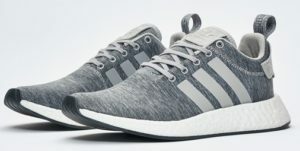 In dark and light grey, these kicks go well with fleece joggers or shorts, an all season favorite. 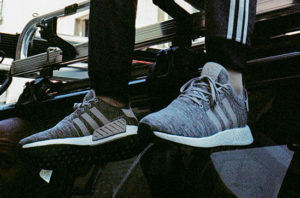 You can grab the SNS x adidas NMD R2 “Melange Pack” at 7 AM ET on Wednesday June 28th.